There is nothing like the aggressive look of a car with the right stance! Over time, stock springs sag, get rusty, and simply wear out. BMR Suspension believes the right springs go beyond looks your Charger needs to perform, too! All BMR springs are manufactured from chrome silicon high-tensile spring wire, and are cold wound on a CNC coiling machine. The CNC coiling head can adjust the spring diameter in real time to ensure that every spring is exactly the same. This guarantees that your right spring matches your left spring. Every BMR spring is compressed solid at the factory, not once, but twice. This gives the spring its permanent set, and guarantees no sag. BMR springs are stress-relieved at 750 degrees F, ensuring most stresses induced during the winding process are eliminated. All springs are then shot-peened to eliminate residual surface stresses. Many spring manufacturers skip this step, but BMR insists on this operation as part of our spring manufacturing process. Every spring is computer tested as the last step—every spring, not just a sample from each batch. Each spring is loaded in the spring tester at the factory, then compressed and the CNC load cell measures the force for a variety of spring lengths. This allows BMR to offer a LIFETIME WARRANTY against spring sag. Blending aesthetics and performance, BMR has designed the SP110 for the street performance crowd who want to use their cars in a variety of application. 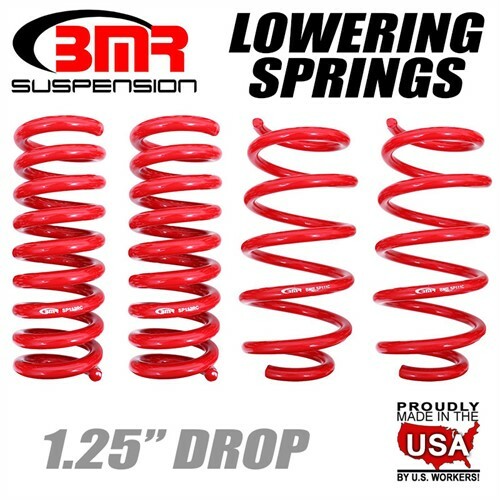 These springs will drop the front end of your Dodge Charger 1.25", and feature a fine-tuned spring rate (165lb front, 160lb rear) to give you great handling and a smooth ride. The linear spring rate offers plenty of support, keeping the body flat and level in the corners, while remaining soft enough for a comfortable ride on any road. When performance and looks are a must, rely on BMR Suspension! BMR rear springs retain the factory "hourglass" shape designed by Ford engineers. This important feature provides a "variable natural frequency" in the spring to help counteract damaging wheelhop. 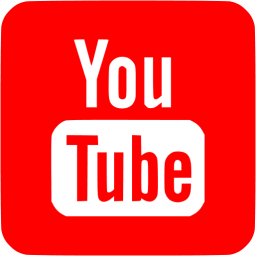 This is a feature of the OE springs often overlooked by other companies simply because they don't realize it's benefits in multi-purpose applications. 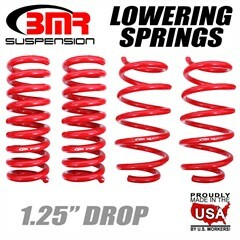 BMR Suspension’s SP110 lowering springs are available in red powdercoat for long-lasting good looks. Installation time is about 2-3 hours. Proudly made in the U.S.A.